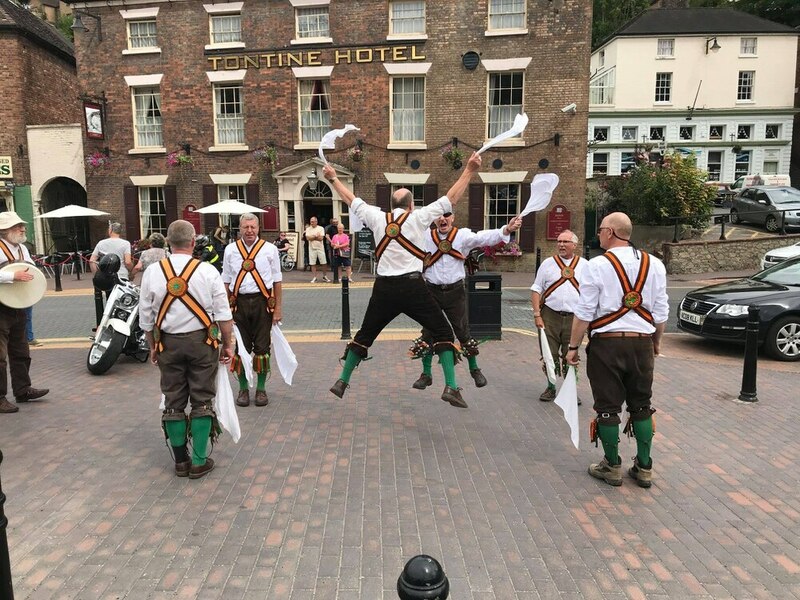 Shropshire was the destination of choice for a band of merry dancers, who performed in the country as part of their annual tour. Bridgnorth and Ironbridge welcomed the Ashdown Forest Morris Men last weekend. The group of 15 travelled from Sussex to perform at various venues including The Golden Lion and The Half Way House in Bridgnorth. Members said they loved Shropshire, and were delighted to see lots of audience participation throughout the weekend. "In the town centres we got lots of attention from passers by, as well as some audience participation which is always good to see," said group member Matt Beard. He added: "We had a really great time, we visited Bridgnorth and nearby on the Saturday and we were out and about in Ironbridge on the Sunday. "The weather was fantastic although a bit too hot on the Sunday. We go to various places across the UK, and have been up to Shropshire once before I believe." Throughout the weekend the Ashdown Forest Men performed an impressive 87 dances in total. The group, which was first formed in 1972, practise on a regular basis and are now on their 28th annual tour. Matt said: "We just choose a nice place, which we'd all like to visit. In the past we've visited Devon, Norfolk, Somerset. We loved Shropshire, It was very pretty especially in this nice weather." "Morris dancing is something I've always wanted to do, after moving away for University and then working various jobs, I decided to move back and the an opportunity to join the group came up." "We have a badger as our mascot, as there's lots of them down where we come from. Ashdown is also Whinnie the Pooh country." The origins of morris dancing remains uncertain, however it's believed the style of dance is a celebration of spring and fertility.